Player characters in role-playing games are generally supposed to be the "heroes" of the story, the good guys or at least the "anti-heroes." But as well all know, as often as not, the PCs end up just being homicidal maniacs. We affectionately call our characters in D&D "murder hobos" for a reason. A long ways back I told you about some of the most horrifying things that my players did at the table in the name of "fun." It's been a while, so I've since found a few new choice treasures to add to that list. Note: I'm not trying to imply that my friends are all psychopaths that should be locked up (well, except maybe for one guy). All of these stories are presented in good fun, and should not be used as evidence in any trials or psychological tests performed in the future. No, it's not time for me to clean my gutters (it certainly needs to be done, but I don't see myself ever getting around to doing it). 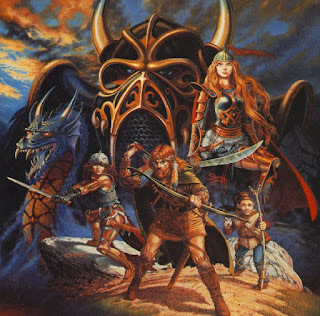 It's time for me to fantasy cast that every-elusive TV show that should have happened years ago, Dungeons & Dragons! A new Dungeons & Dragons movie is actually currently in the works, set to start filming next year and supposedly starring Ansel Egort (I'm not sure if that's the actor's name or his D&D character), but until this damn thing actually happens I'm going to keep making up my own show in my head. Hell, I'll probably keep doing it even after the movie comes out, because I assume it will be better than whatever Hollywood spews out anyway. 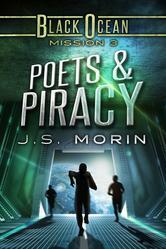 About 6 months ago I read through all of JS Morin's Black Ocean series. These are short novellas, episodic in nature and feel a lot like the TV show Firefly where a crew of a ship gets up to silly hi-jinx while always looking for the next job, the next score, or the next get rich quick scheme. I had a funny experience a couple weekends ago. 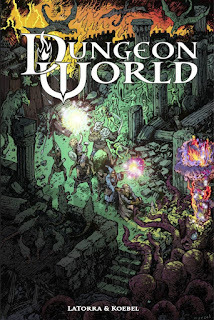 On Saturday night I played what is rapidly-becoming one of my new favourite games, Dungeon World. (We'll ignore for a moment that one of the players brought a Super-Flu into the house that knocked out my entire family for 2 weeks, which is why it took me so long to write this). On Sunday morning, I played "Secret Lab" with my 4-year old son, which is basically sitting in a blanket fort making up "secrets," which usually end up being variations of "I stole treasure from the chocolate factory and hid it in the back yard." Guess what? Turns out they're both exactly the same game. I'm not sure if I still like it as much anymore. 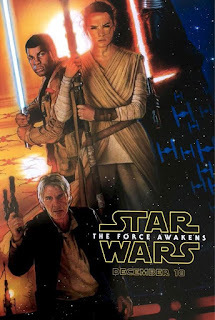 Don't get me wrong, I quite enjoyed The Force Awakens. It was familiar and just felt like an updated version of something I loved as a kid, paying homage to it lovingly while adding enough new touches to open up a new world for future stories. But therein lies the problem, at least from a gaming perspective. A day or two after I saw the film, I sat down to stat out the characters and ships for use in a game.